How can I switch between Imperial and Metric units? For example, if you want to show Celsius for temperature instead of Fahrenheit, you check “Default” for Celsius in the above dialog and click “OK” button. 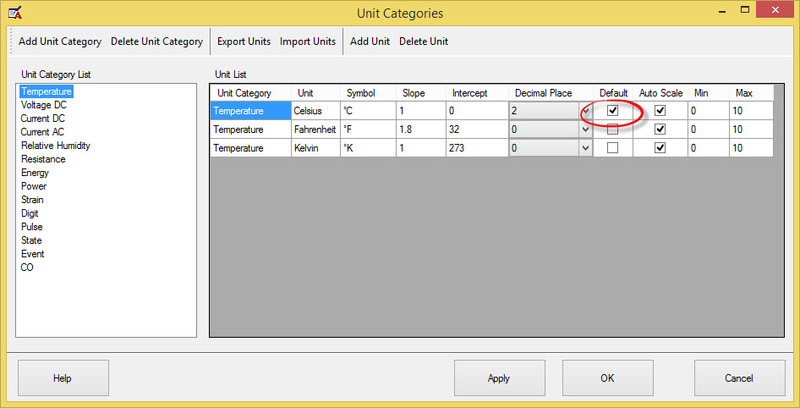 Next time when you double click the logger icon and show the logger status, the unit for temperature unit category will show as Celsius. And the new download will use the new unit too. After the change click “Apply” button to apply the change on the graph. Can I schedule to download the data? / Can SiteView automatically download the data periodically? How can I create a new unit?